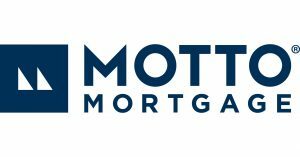 Motto Mortgage Plus is a full service lender that takes pride in making your new home loan process quick and effortless, while offering you the most competitive rates and programs in the industry. Countless years of experience and being local to the market means you will actually meet a career loan officer, in person, that knows your area and will always have a representative you can directly get in touch with after your closing. Our commitment to every client ensures you close on time with the terms you are happy with. Once you are part of the Motto Mortgage Plus family you will never be alone in this ever changing market,and you will always have a real-estate expert at your fingertips for your future needs. We look forward to welcoming you, to your best mortgage experience! Korey Apple brings 18+ years of mortgage experience and financial integrity to the Motto Mortgage Plus team. in most mortgage companies. His approach to lending encompasses how the mortgage affects a client’s whole financial picture. and his clients become friends that know they can call him anytime for advice and guidance to achieve their financial goals. Each office independently owned, operated and licensed.